I read a stat that said the average person spends significantly less than one minute looking at a single piece of art in a museum. Sure, there isn’t necessarily a right length of time to spend looking at an artwork, but less than a minute makes me think about people shuffling mindlessly through museums almost as if the visit was simply to check a box on the itinerary of what they think they should be doing which makes me sad. On the flip side, I also kind of get that mentality. I studied Art History in college so I’d say I have more contextual knowledge of art than the average museum goer, so of course I’m spending more time looking at a painting. I don’t mean that in a snobby way, it just makes sense. If you don’t know the history or the context of an artwork, then looking at it for a moment purely from a visceral perspective would be the likely thing to do. Thinking through this, I wanted to give you some ideas of creative things you can do the next time you’re in a museum so that you’re being intentional and getting a whole lot out of the visit. 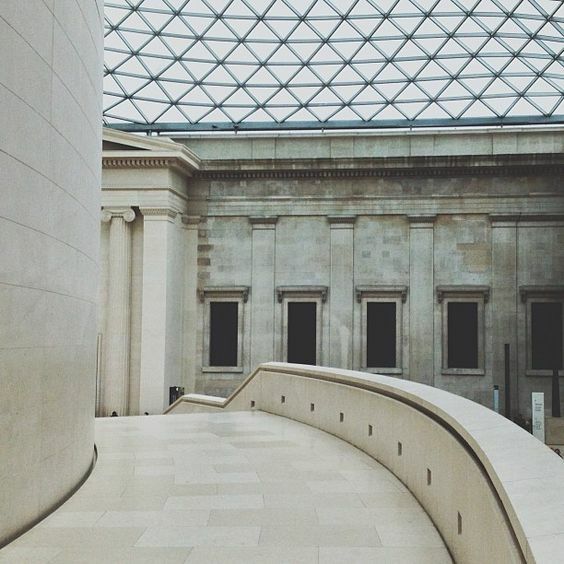 Museums can be such inspiring places that can really open your mind, your heart, and engage your creative muscles, so here are a few things to try. My best friend Caroline and I went to The Met earlier last year and she mentioned this idea to me. While she’s exploring the museum, she writes down the name of three pieces of art that jump out at her and when she’s back home, she’ll do research on those pieces. This way, you’ll get to dig more into the history and context of the piece and then you can journal about what you find and try to discover what it is about the piece that drew you in. This is a great way to build your critical thinking skills when it comes to art and it’ll also help you draw connections and develop your personal taste. Take along your art journal and take some time to work on sketching sculptures or even scenes taking place in the museum. So many people say they can’t draw, but if it’s a skill you’re interested in developing, this is a great way to do it. Sculpture is a great place to start because it’ll help you start to understand the shape of the human form and how light reflects off of it to create those contours that are necessary in drawing. If you’re not into drawing, photography is another great way to be creative in the museum and it’s one of my favorite things to do. Be careful with this though, keeping in mind that flash photography and shooting video are typically not allowed in museums. But, you can take flash-free photos with your phone. Museums are really a perfect place to get some interesting shots because they were literally designed to be visually appealing. Try playing with perspective and composition to get some interesting shots. See below for some beautiful museum photography.